In any transaction, a payment or compensation is very critical. It is mostly one of the reasons why conflict arise between parties. In cases of breach of contract, the manner of payment and the required value is usually contested. To avoid this kind of instances, you must ensure that you create a sound and comprehensive payment contract. 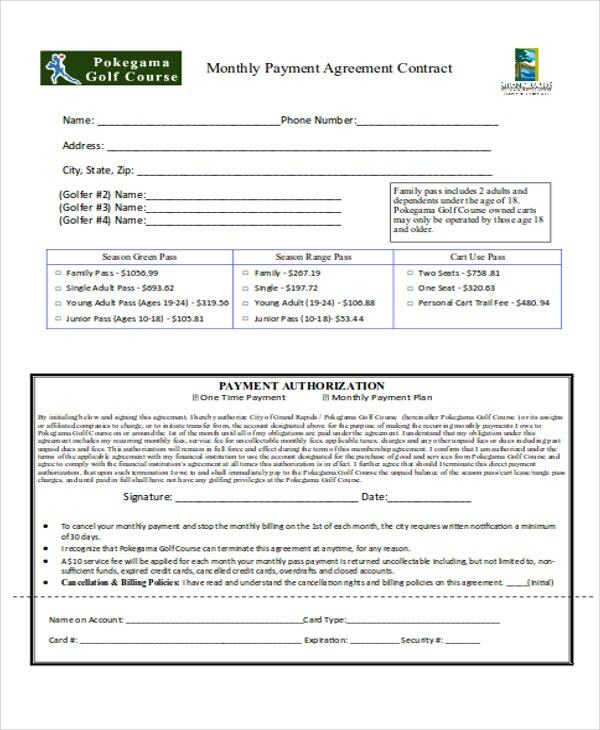 A payment contract can serve various purposes. 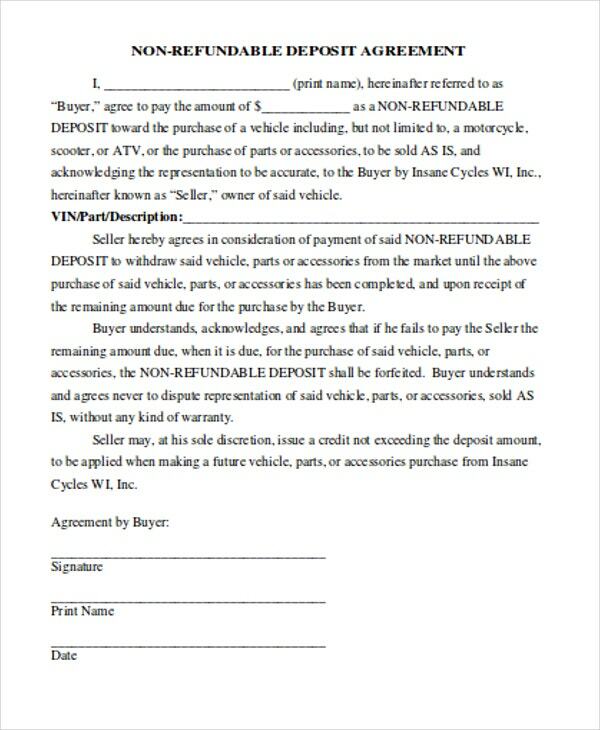 It can be a document that supports a loan agreement or a contract that supplements a lease agreement. 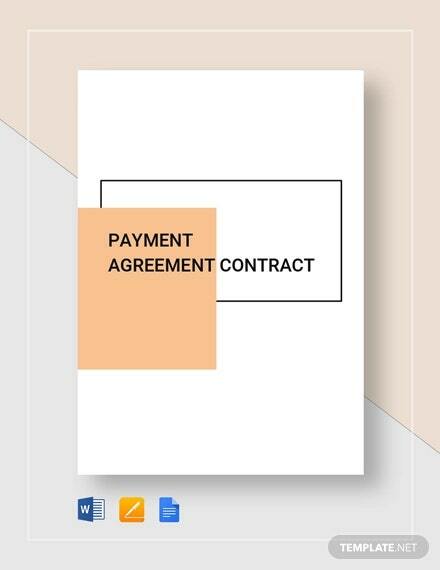 To help you create your own payment agreement, on this list are 8+ payment contract templates that are rich with key contract elements and examples. Payment contracts are relevant because it contains the needed information for a payment to be validly considered or verified. In implementing a Business Contract Template and Service Contract Template, a payment contract is mostly evident. It stipulates how and when the payee will get the designated payment. In line with this, there are various payment types such as a down payment, advance payment, loan payment, and many more. other sections that you may deem necessary. 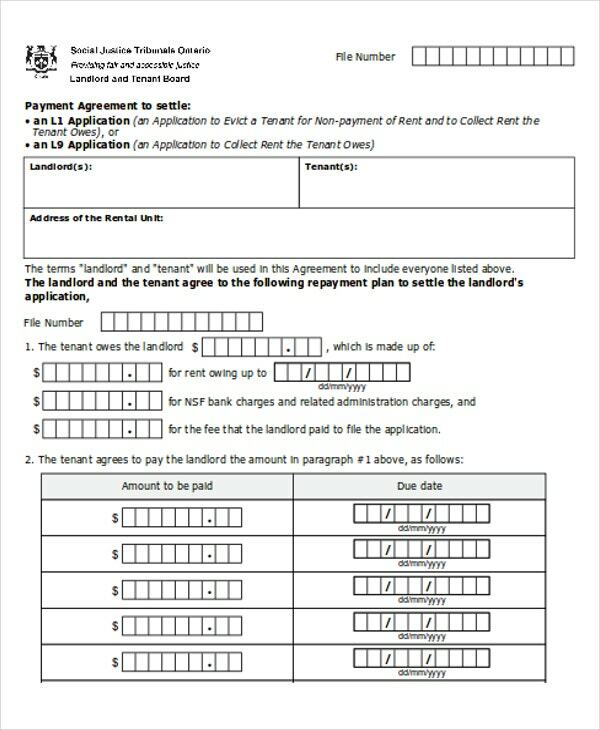 Down Payment Contract Template – A down payment contract is usually used for legal and documentation purposes. 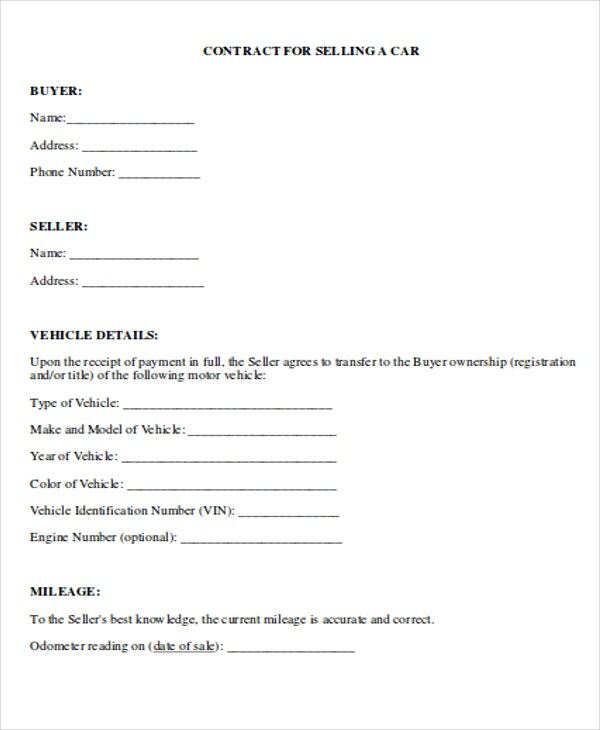 A good example would be a car sale agreement which may bring about a down payment contract once the the purchaser willingly tenders a payment in cash during the onset of the purchase of the car. 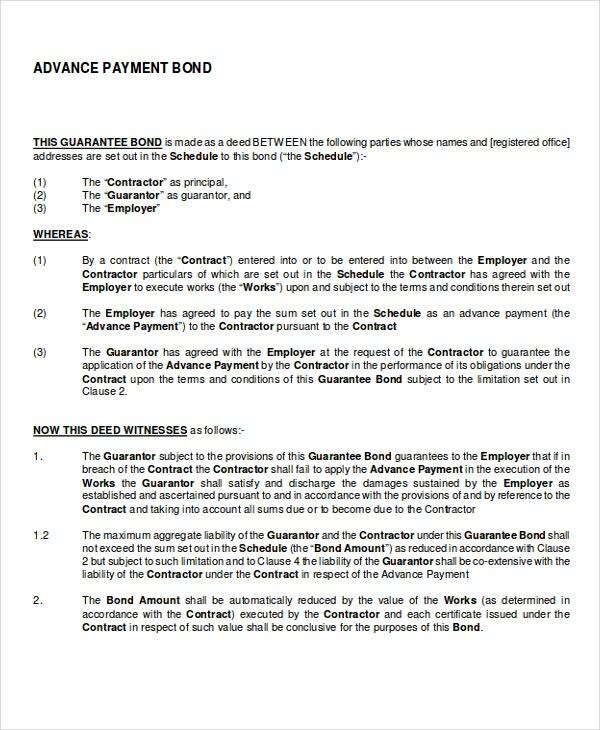 Advance Payment Contract Template – In cases that a contracting party wants to tender advance payment, you can rely on this template. The example given is an advance payment bond. 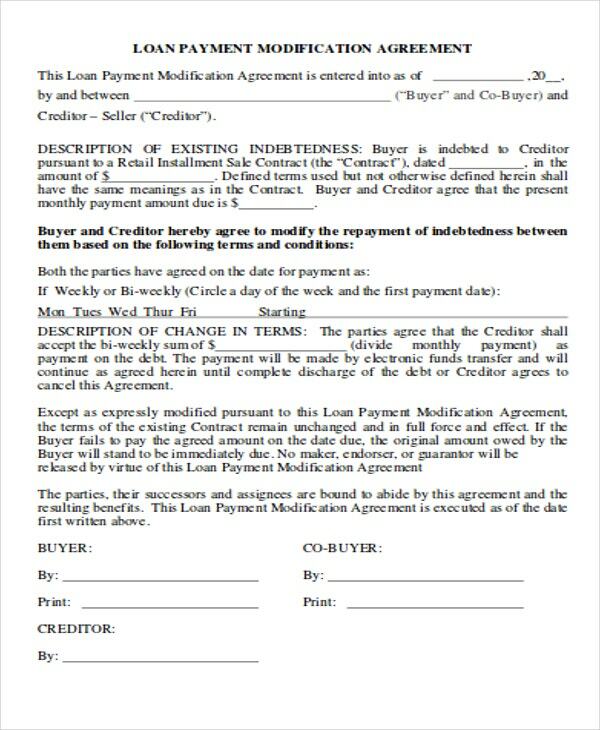 A payment agreement or contract is usually associated with a sale agreement or loan transaction. Here are some of its uses. Lending Money – If you’re planning to let someone you trust lend money from you, a payment contract can help protect your interests. As the creditor, you must be keen and specific in providing the details of how the payment will be made. Borrowing Money – On the other end, payment contracts are also useful on the part of the borrower. Through the contract, the borrower can ensure that his or her rights are protected and were not gravely abused by the creditor. 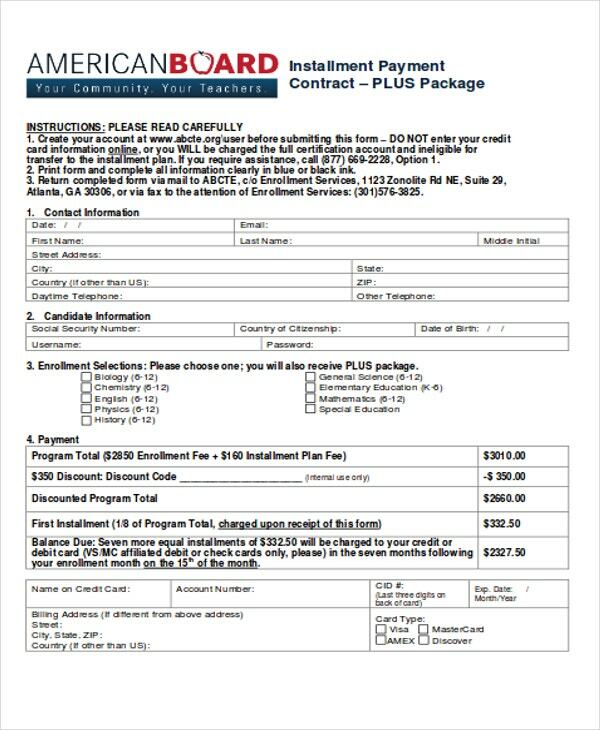 Another contract template that is mostly used in borrowing money from banks and other financial institutions are Loan Contract Templates. They can help you create a sound loan agreement. 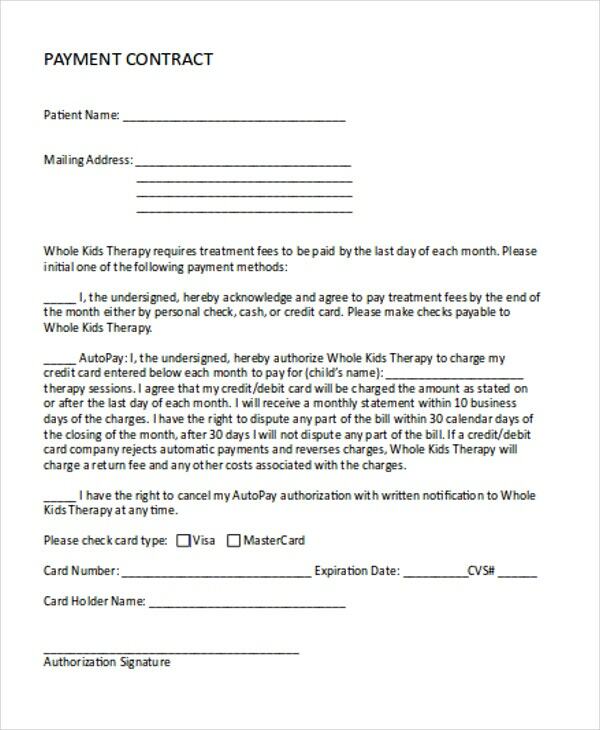 Documentation Purposes – Other than borrowing and lending money, you can use a payment contract to monitor and track monthly payments and interests rates. If ever conflict arises, you will not have a hard time substantiating your claims and interests.These are some of the pertinent uses of a payment contract. To ensure that your financial transactions and exchanges run smoothly and hassle free, refer to our array of payment contract templates.